Do you own an offline business? Do you have a suitable online presence to go with it? If the answer is no, you need to rethink your marketing strategy. Some brick and mortar businesses – especially small companies with a limited number of staff – simply don’t think they need an online presence; they assume that their shop already does enough to attract local customers. And while this may be true, if you’re not online, you’re cutting yourself off from a large number of shoppers. Why Does Online Marketing Sometimes Get Ignored? This happens particularly with businesses who don’t actually sell any of their products or services online; they think that there’s no point in spending a lot of time and money on a website, when the only way to purchase an item is to come into the physical shop. People may not be able to buy online with you, but they may want to see what stock you carry – and what prices you’re charging – in order to compare you with your competitors. If you’re not even listed online (let alone have no official website), they’ll be completely unaware of your existence. Another reason is the cost; small businesses may not have enough in their budget to embark on a huge online advertising campaign or a web development company, but it doesn’t have to cost the earth to market yourself on the web. Start small: list your business on the online version of Yellow Pages, and ensure you’re visible in the Google Places for Business results. If you’re really strapped for cash, make your own free website using an online template, and sign up for business and social networking sites such as Twitter, Facebook, Google + and LinkedIn. These are all free, and they’re great ways of reaching out to your target customers. The way consumers search for products and services is changing. These days, people simply don’t have the time to spend hours on the High Street, hunting down the best prices and trying to track down that perfect gift; they’d much rather spend a few minutes on the internet first, so they know exactly which shops to visit when they do go out. It’s worth noting that, because of their busy lifestyles, consumers are now often searching for products using mobile devices such as tablets and smartphones (rather than being tied to their desks and their desktops). You therefore need to be aware of responsive web design development if you want to reach as many customers as possible; this just means that your site will be user-friendly and quick to load no matter what device (or size of screen) your potential client is using to access it. If you want to create an online presence for your business but don’t quite know where to start, there are hundreds of digital marketing specialists & web development companies out there who can help you. They’ll be able to give you advice and support on what’s best for your business, and will also be able to create a bespoke website or blog to help you attract those all-important customers. Smartphones and tablets are increasing in popularity seemingly every day. The world has gone mobile; people no longer wait until they’re in the office to check their emails or start that big report – they can do it on their phone or tablet on the commute, or in a café over their breakfast. Business is no longer confined to one or two places – it can be carried out anywhere, at any time. It therefore makes sense to incorporate a mobile campaign into your digital marketing strategy. But how do you know where to start? Tablets and smartphones are great ways of accessing the internet quickly and easily – as long as it actually is quick and easy. You need to make sure that your official business website is not only easy to find, but that it is also quick to load and simple to navigate. By using a responsive web layout, your site will be optimised to fit the screen dimensions of any tablet or phone, no matter what size. Make sure you don’t clutter your site with unnecessary images or videos that will slow down the load time, and include all of your main contact details in an easy-to-see place. 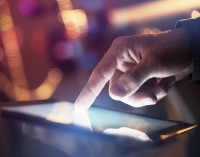 When it comes to mobile marketing, it isn’t just your website you should be thinking about. By creating an app, you’ll be reaching out to many more people than your website possibly ever could. Include exclusive content or the opportunity to receive offers in the app, and you’ll soon get numerous downloads. 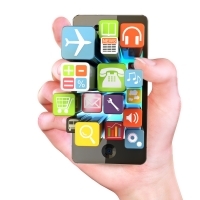 A web development company can help you to create your mobile application. Mobile marketing doesn’t just have to be internet-based. If you collect your customers’ mobile numbers, text them with special offers they might be interested in. Include your email address, website, and phone number in the text (the phone number is particularly useful as people with smartphones can then just click-to-call). Just make sure you don’t bombard them with messages – no one likes to be hassled, and if you do it too often, you could lose their custom altogether. QR codes are great at generating interest with potential clients. Add your code to your business cards and any other print media to integrate your offline marketing with your online marketing. People with smartphones can then take a photo of the QR code and be taken to a landing page, making it easy to analyse the traffic generated by the code. Whether you like it or not, it looks like mobiles and tablets are the future in terms of connecting to the internet and conducting business while on the go. If you don’t embrace it and come up with a well-planned mobile marketing strategy now, you could lose out to your competitors in the future. Don’t get left behind – start marketing on mobile devices today!